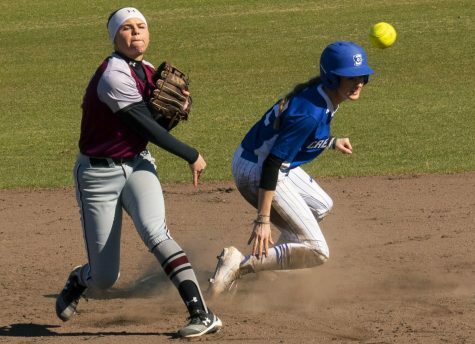 Indiana State softball had an All-Conference player make their first start of the season this weekend against the Salukis. 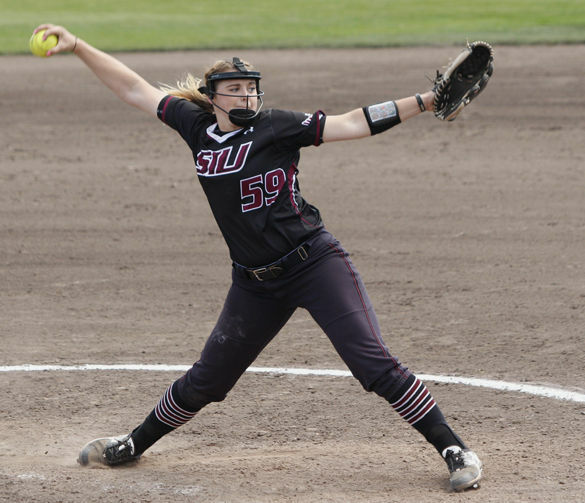 Senior pitcher Taylor Lockwood shut down the Salukis (25-14, 8-6 Missouri Valley Conference) on her first start this season in a 2-1 nine-inning victory for Indiana State (11-27, 5-8 MVC). Lockwood (1-0, 1.08 ERA) allowed two hits across all nine innings, striking out seven. 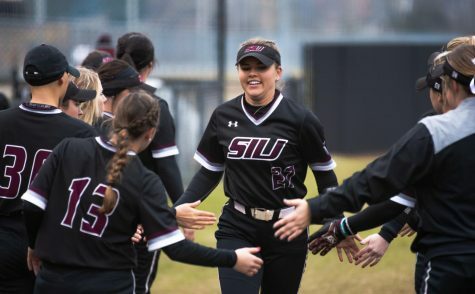 She made her season debut Saturday pitching four innings of one-run ball in relief, coming off of injury. 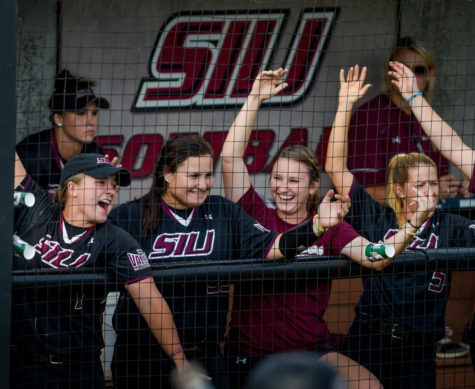 Despite how much Lockwood stymied the Saluki offense, the Salukis were two outs away from winning the game with just one hit on the ledger. 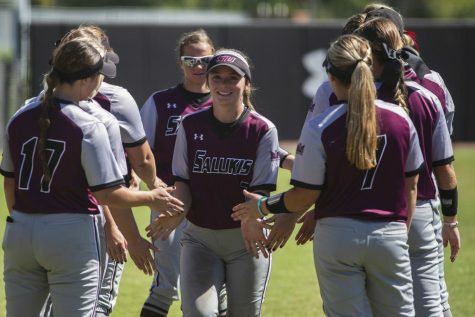 In the fourth inning, sophomore infielder Sydney Jones hit a deep home run to left field, breaking up Lockwood’s no-hitter and giving the Salukis a 1-0 lead that would hold until the top of the seventh. The Sycamores began the seventh with a runner in scoring position on a two-base error on junior first baseman Shaye Harre. 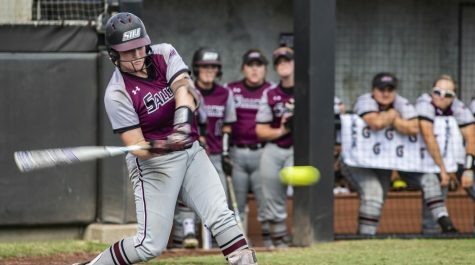 After a sacrifice bunt and wild pitch by Saluki starter Savanna Dover, the game was tied. 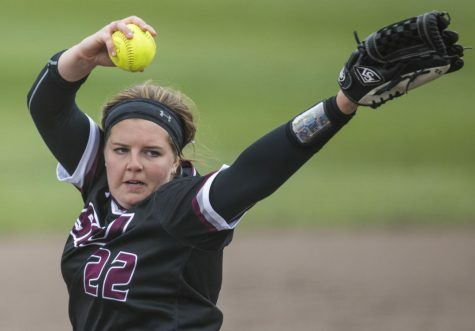 Even with the wild pitch scoring the tying run, Dover (6-7, 3.35 ERA) had a strong outing herself. She threw into the ninth inning, giving up six hits before being taken out after walking the first batter of the ninth. Freshman Brianna Jones (18-7, 1.90 ERA) pitched the ninth and, after a single by Sycamore freshman third baseman Monique Castillo, Indiana State had the go-ahead run at third with one out. Junior shortstop Kassie Brown squeeze bunted home the eventual winning run down the third base line. 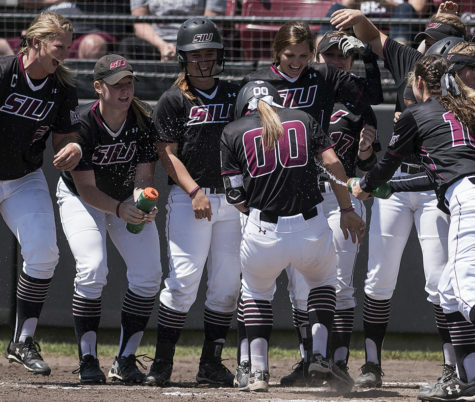 Sydney Jones said after the game that she should have played the ball differently, with the baserunner running down the line with her. 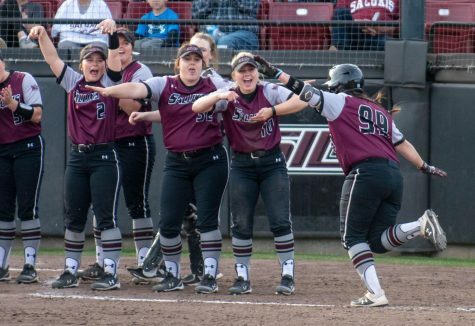 Outside of her home run, the Salukis failed to get a runner in scoring position all game. The Dawgs fell to fourth in Valley play at the halfway mark of conference season, but Blaylock is not concerned with the standings. 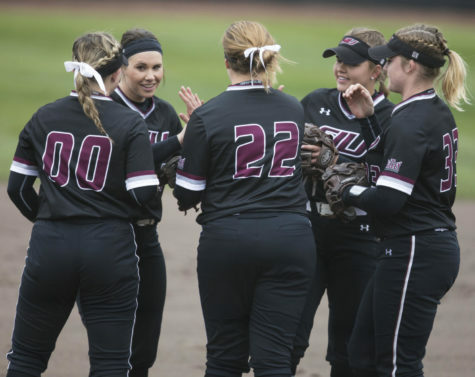 SIU will get an opportunity to rebound in conference play with a mid-week doubleheader against Evansville at 3 and 5 p.m. Wednesday at Charlotte West Stadium.